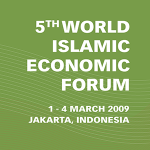 The third World Islamic Economic Forum was a congregation of an overwhelming 800 plus participants from various countries gathered together for the single purpose of business networking and exchange of cutting edge ideas. 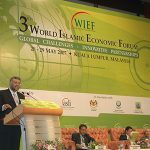 The third Forum bearing the theme “Global Challenges – Innovative Partnerships” was held in Kuala Lumpur, Malaysia on the 27-29th May 2007. The Forum was attended by high profile personalities from the government and business sectors. 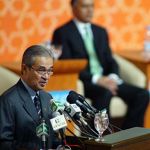 Among them are the Prime Minister of Malaysia, Dato’ Seri Abdullah Ahmad Badawi, the Prime Minister of Kuwait, Sheikh Nasser Al-Mohamad Al-Ahmad Al-Sabah, the President of Indonesia, Susilo Bambang Yudhoyono, the Crown Prince and Deputy Ruler of Ras Al Khaimah UAE, Sheikh Saud bin Saqr Al-Qasimi, the former Prime Minister of Netherlands, Ruud Lubbers, and the Mayor of Rotterdam, Ivo Opstelten. Pertinent issues discussed include strengthening business partnership between the Muslim world, the West, China and India, enhancing innovation in the Muslim world and building tomorrow’s innovative company, accelerating trade and investments within and beyond Muslim countries, developing innovative branding and strategic positioning, and identifying ways to integrate Islamic banking into the global financial system. 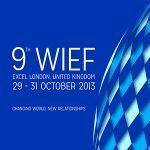 Innovative Branding & Strategic Positioning – Keys to Success in a Globalised World “How can Muslim companies and Enterprise create brand leadership? 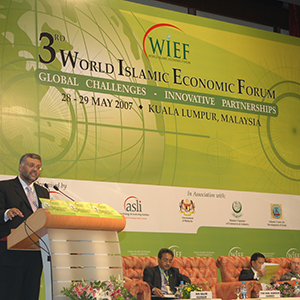 We, the participants gathered for the 3rd World Islamic Economic Forum (WIEF) with the theme “ Global Challenges – Innovative Partnerships” in Kuala Lumpur from 27th and 29th may 2007. 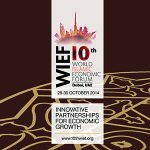 RECOGNISING, the growing potential of the World Islamic Economic Forum in catalyzing innovative strategic business partnerships amongst Muslim business people, and the continued support in its efforts by the Secretary General of the Organization of Islamic Conference (OIC),the President of the Islamic Development Bank (IDB) and Governments. 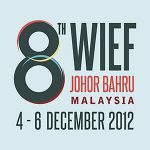 Enhance business partnerships amongst Muslim businesspeople and with non-Muslim businesspeople globally and to continue to support the WIEF in its initiatives. “GROOM A LEADER” programme initiated by the WYN which through the establishment of scholarship and internship programmes seeks to enhance the skills, knowledge and capabilities of young Muslims. “LET’S LUG-IN EDUCATION” programme initiated by WYN for the provision of digital education to disadvantaged communities in the Muslim world through the accessibility to affordable computers. 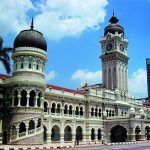 The MoU initiated by WBN between Residence hotels and Resorts Sdn Bhd, Malaysia and Notol Niloy Group, Bangladesh for the management of a chain of ten (10) hotels. 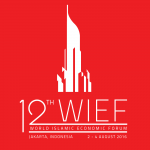 The proposal to establish a WIEF GLOBAL ISLAMIC LEADERSHIP PROGRAMME, in partnership with the Oxford Centre for Islamic Studies in Britain, the Executive Centre for Global Leadership in Indonesia and the Asian Strategy & Leadership Institute (ASLI) in Malaysia to provide short-term Leadership programmes based on international best practices and Islamic values. 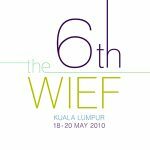 The establishment of the WIEF-UiTM INTERNATIONAL CENTRE located at Universiti Teknologi MARA in Malaysia to promote collaborative research amongst institutions of higher learning and capacity building for vocational training arising from the MoU signed at the 2nd WIEF in Islamabad. 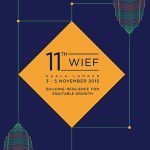 We agree to hold the WIEF Regional Forum in Dhaka, Bangladesh from 3rd to 4th November 2007. 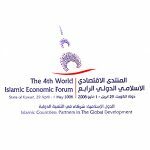 We highly appreciate and thank H.H Sheikh Sabah Al Ahmad Al Jabir Al Sabah, the Emir of the State of Kuwait for agreeing to host the Fourth (4th) World Islamic Economic Forum in Kuwait in 2008. 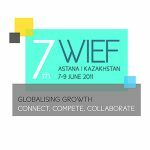 RECOGNISING the importance of continued Government support and patronage and the necessity of public-private partnerships for the above initiatives and projects, we call upon the Chairman of WIEF to submit this Declaration to the Heads of States and Government and to the Secretary-General of the OIC and to disseminate this to the private sector and relevant international organizations. 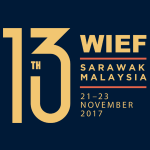 We thank the Prime Minister and the Government of Malaysia for their continued strong and for hosting the 3rd WIEF and we acknowledge the contribution and support of our strategic partners,sponsors and role players.